This lovely one bedroom one bathroom hotel suite for sale in Ucluelet at the beautiful ocean front Blackrock Resort & Spa provides a front row seat for storm watching, breathtaking Sunsets, whale Spotting and just relaxing. This particular suite has stunning south facing views overlooking the open Pacific Ocean and Big Beach Park. Blackrock Resort boasts ocean view restaurant, lounge, spa, and exercise facilities. The renowned Wild Pacific trail is Just steps away and many town amenities are within walking distance. Please note full tittle residency is not permitted. When not using your vacation getaway yourself, earn revenue from rentals of your suite all managed by hotel to offset cost of ownership. Olivier earned his Bachelor of Commerce degree with a focus in Marketing at the University of Northern British Columbia. Over the years working as a Business Development Manager for Wood Buffalo Helicopters, he’s acquired a skill set that lends well to the Real Estate industry with a strong customer focus and business acumen to ensure his clients are well represented during the entire real estate process. 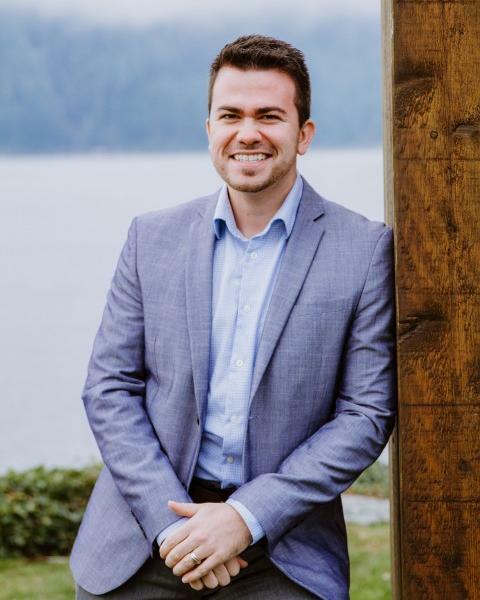 After completing his real estate course through the University of British Columbia Olivier chose to pursue his Real Estate career with a well established company, RE/MAX First Realty. He grew up in Fort McMurray Alberta and moved to Port Alberni in fall 2016 with his wife. A month later they had their first child, Elliot. Olivier is fully bilingual in French and English. He enjoys the Island life and looks forward to helping others find their dream home and experience the island lifestyle that they've fallen in love with. The blue circle drawn on the map represents the area which is most likely to contain listings comparable to 207-596 Marine Drive. If you wish, you may adjust the circle by dragging the white center handle to move it, or dragging one of its other white handles to resize it. Press the 'Next' button at the top when finished.